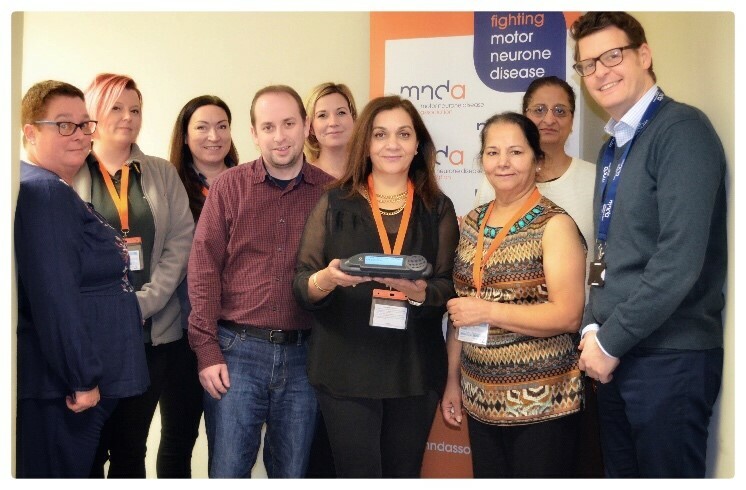 We are so proud to announce that Jaspal’s Voice has raised enough money to donate an Allora 2 communication devise to the MND association. 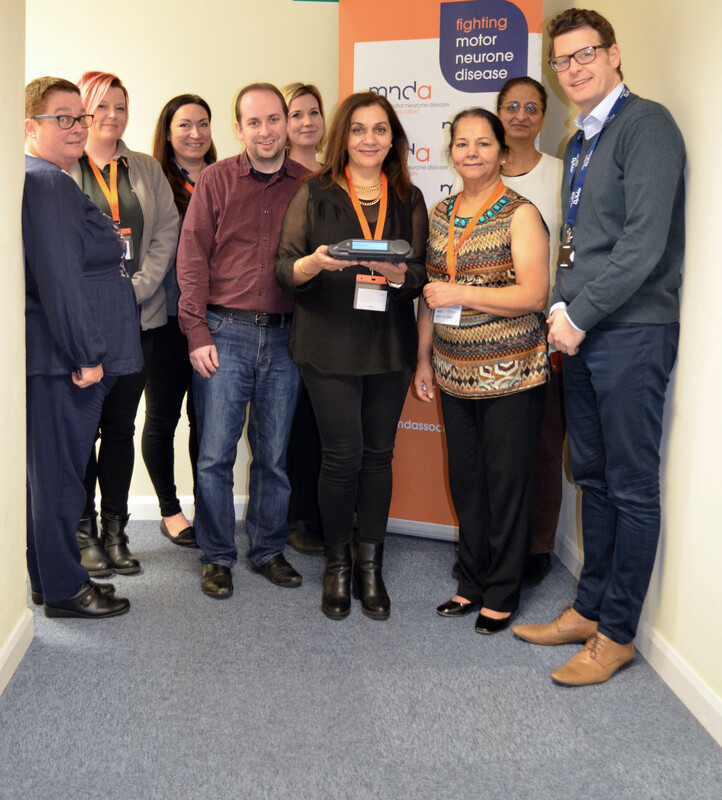 It was immediately supplied to a patient who had been on the waiting list for some time and we all hope this will improve their quality of life. 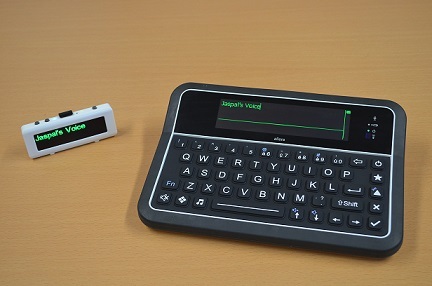 The Allora 2 is a speech generating device. 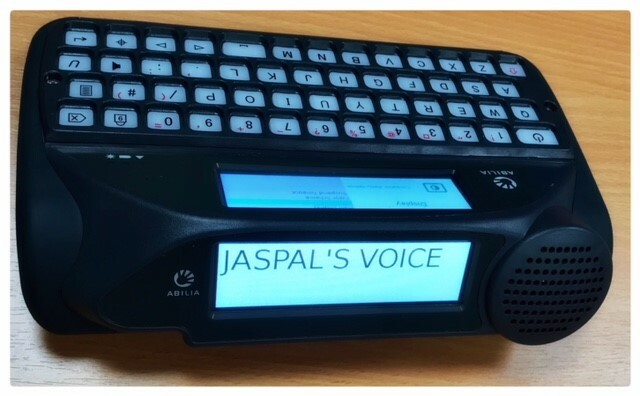 It is a keyboard and switch accessible, text to speech, communication device. 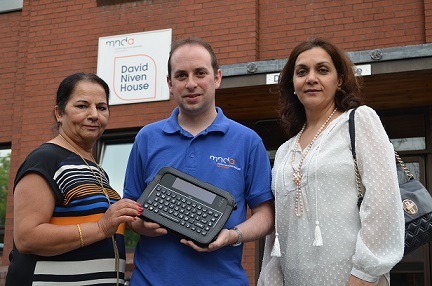 It is designed to meet the needs of people that are able to write, who have reduced or little ability to speak and whose motor skills require a device that can adapt to change but maintain access for the user. The Allora 2 is easy to carry and its compact size makes it a great fit for individuals with ALS, Parkinson’s or anyone else needing a lightweight, portable, text–to-speech device. Communicate in written text, efficiently with those around you and afar in a way that suits you and your physical abilities. Be understood, loud and clear, with a choice of voices. Use face to face communication on your terms. Use the 2nd display in a number of different ways to enhance the quality of your conversation. It helps you stay in control of your household environment by storing over 100 Infrared environmental controls on your device (subject to compatibility with infra-red controlled appliances). 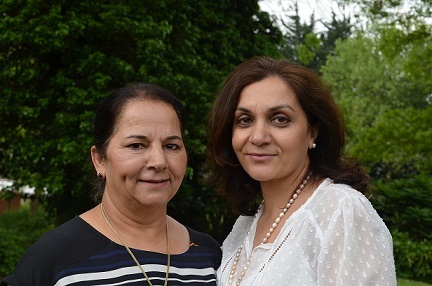 You can stay in contact with friends, family and support when it suits you, by sending and receiving an SMS Text. It can record your own phrases and add more expression to your comments. You can record up to three hours of speech and sounds that you can use to compliment text to speech. Record legacy voice comments, make verbal emoticons or record unusual sounds that will help to get people’s attention. 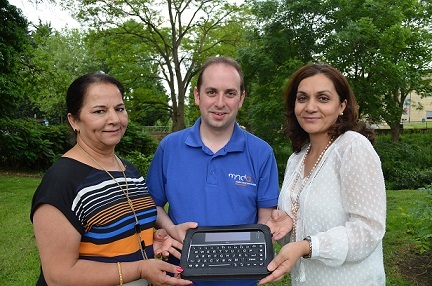 You can transfer text documents to the device via the USB port to be read out at school, college or work. Express what you want to say more quickly by using abbreviation expansions and text or phrase predictions.